I have been lucky enough in recent weeks to attend a number of events organised or supported by the British left-wing political organisation Momentum, and see for myself the political gusto of the Corybnite movement. It is a zeitgeist to behold. Aaron White recently authored a column detailing the unique aesthetics of Momentum’s The World Transformed (TWT) conference in Liverpool, and discussed how the event epitomised the progressive and liberating nature of Corbyn’s movement. 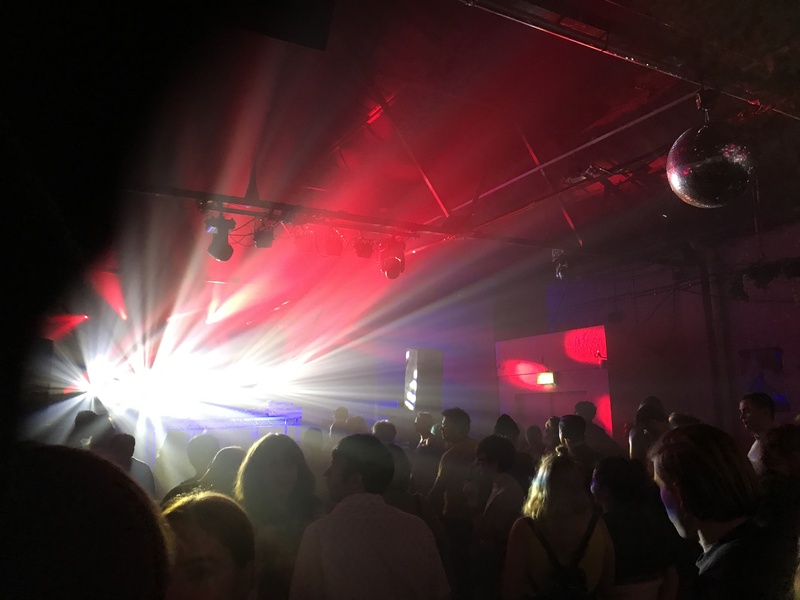 In our recent podcast on ‘The Sights and Sounds of TWT 2018’ we considered not only the aesthetics of Momentum’s events, but the use of rhetoric to influence and shift the centre of our political discourse, normalising previously ostracised language and challenging the entrenched dialogue of neoliberalism. Combing these ideas, I wanted to write this column on how Momentum’s efforts demonstrated to me a revival in people politics, and an honest attempt to reengage professional politicians with the lives of ordinary people. If you were to take a minute to search for a definition of the word ‘politics’ on the internet, you would most likely be confronted with the following from Google. This, unfortunately, is everything that is wrong with politics. Politics is not ‘the debate between parties having power’, nor is it ‘aimed at improving someone’s status or increasing power within an organisation’. Politics in a democracy is the representation of popular will in, and only in, the public interest. Closed off professional politics blurs this definition, particularising vested-interests and narrowing the margins of political debate. There are many reasons to employ professional politicians, they can inspire, debate and efficiently employ measures of public policy. But professional politics must be built on information. Politicians must have access to, and understand, the needs and requirement of the populations they represent, otherwise their qualifications are redundant. The refusal of our professional classes over the last 30 years to engage in real political discussion with the wider public has degraded the traditional politician in the eyes of their electorate. We are in desperate need of reconnecting politicians to the one source of information that allows them to do their jobs successfully, the people. This is where I credit Momentum. Let me start then, with The World Transformed Festival in Liverpool, 22nd-25th September 2018. I could tell you now of my feelings of awe, as I watched Jeremy Corbyn shred the centre-ground of neoliberal rhetoric to pieces in front of my eyes at a packed out Hinterland Venue. I could tell you of the sense of historical prescience, as Jean Luc Mélenchon, leader of La France insoumise, addressed a room full of passionate onlookers on the subject of once again reconciling our human condition with the natural world. I could even tell you how enjoyable it was to watch Ed Miliband present a Labour-themed pub quiz of a Tuesday evening. But what I perhaps most appreciated about TWT was not the plethora of big-name politicians decrying from on-high, but the active participation of diverse audiences in political debate. Aaron’s column summed this scene up nicely as ‘circular tables – establishing a notion of camaraderie that attempts to break free of the hierarchical structures that predominantly encompass an event regarding political speakers’. Whether it was the liberating power of aesthetic, or the inclusive warmth of the political dialogue, TWT successfully conjured up a relaxed atmosphere that encouraged attendees to actively participate in political debate and conversation. Yes there were speeches from leading politicians, Jeremy Corbyn and Diane Abbot prominent amongst these, but there were also educational and cultural events which encouraged an open-ended space for the development of political thought. (My particular highlight was a reading of Francis Beckett’s ‘in Clem’s own words’ by some of Momentum’s key proponents). A reading of Francis Beckett’s ‘In Clem’s Own Words’ by Paul Mason, Owen Jones, Richard Attlee, and Kika Markham at TWT 2018. On the final day of TWT Aaron and I were lucky enough to attend the event’s closing party. If I had doubts before, this night confirmed to me the genuinely collaborative nature of Labour’s current mission. The majority of the people here were your classic left-wing enthusiasts, coaxed out from a range of diverse backgrounds by the promise of radical Marxist debate and the occasional free drink. But also attending were those at the front of the Momentum campaign; journalists from Novara Media, public personalities like Owen Jones, and a smattering of Labour MPs. It was the last faction that most surprised me. As happy as the Shadow Chancellor looked to see us…his presence at this party epitomised Labour’s reengagement with the art of politics and its willingness to connect at an individual level with the people it aspires to represent. It is all well and good quoting from your social media accounts in the house of commons, it is another thing making the effort at events like TWT. It is only through genuine channels of communication, like The World Transformed, that we can eliminate the current asymmetry of information in our political system. It is only in this way, that we can create a truly social political system, a system of people politics.